Tom Wickline pointed out that it has been 8 months since I had put out a road map. So I thought I'd take some time to review what we've accomplished in these past 8 months, and what we hope to accomplish through the rest of the year. This has been an interesting 8 months. We've deliberately been working on some very 'unsexy' initiatives. For example, we've been focusing a lot of energy on some 'under the hood' improvements to Wine. Things like .NET support, work on a DIB Engine, Gdiplus, and a lot of Direct X work. 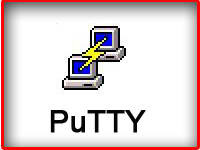 We've also spent a lot of energy focusing on issues with Microsoft Office 2003 and 2007, in an effort to bring those applications fully up to 'Gold' level. We have had some challenges; for example, we discovered, after working our heart out on a DIB Engine, that in fact, the DIB engine wasn't the magic bullet we were hoping for. (Instead, we've recently focused more energy on Gdiplus, and we're pleased with the performance boost that is giving things like Quicken). One great result is that we're continuing to see a lot of broad success stories; an awful lot of applications just work better now than they ever have with Wine in the past. We've just shipped a lot of those 'under the hood' improvements for games out in CrossOver Games 7.2. We're really pushing Direct X 9 support pretty far along, and getting ready to move on Direct X 10. 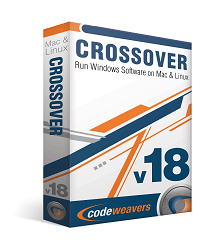 In the next few months, we'll be shipping CrossOver Linux 8.0, and CrossOver Mac 8.0. 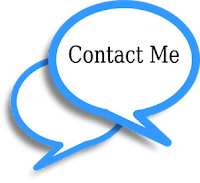 That revision of our flagship product will bring support for IE7, modern QuickBooks versions, Quicken 2009 (at a nice speed), Photoshop CS3, and many many other improvements, particularly around Microsoft Office and specifically Outlook. After we ship version 8, and make sure we keep Games fresh as well, we're going to turn our focus to our next major revision. In addition to our normal work of broadening and deepening our application support in Wine, we're going to try to dramatically improve the CrossOver GUI itself. First, the Linux version will get a fresh new look. But both versions are going to get an interface that we hope will bring the power of the Compatibility Center right into the installation view. The key idea is to make it easier to distill the gathered wisdom on unsupported applications and make it far easier to use. I hope we'll have that available before the end of the year. For work with outlook files there are a lot of programs,which recover mails.But once my girlfriend had the unpleasant problem and these tool couldn't help me.Fortunately i found good program-ost pst convert.And it solved my issues and made it free of cost.In addition software showed how repair your data and convert it to *.pst format, that can be easily opened by any email client, compatible with Microsoft Outlook.